I believe it’s best to start beauty blogging at absolute zero, or the whole “if I could only have one product, it would be…” bit. That question is so very easy for me, no doubt in my mind, it’s lip balm. It works multi-tasking wonders on everything from cuticles to eyelashes in a pinch, but the main reason is that nothing, I mean, nothing annoys me more than dry, flaky, cracked or chapped lips. And lucky for you; I have spent an indecent amount of time and money buying and trying literally everything I can find when it comes to this simple remedy that turns out to be rather complex when it comes to finding the perfect formula. Thousands of tubes and jars later, I have narrowed the lineup to a small but impenetrable little army I call the lip clinic. Even one or two of these little soldiers is all you will ever need (bearing mind you stay reasonably hydrated – drink water!) to forever retain the perfect lip moisture levels… promise. 1. Sisley Confort Extreme Levres Nutritive Lip Balm : Don’t let the long French name confuse you one bit. At $74 a jar, this is both the priciest lip concoction I can imagine. However, it is, by far, the most effective formula of all, bar none. This is the one & only formula that offers lasting effects – it has no equal. For the price, I ration myself to one tiny q-tip dip every night before bed, and since I started the routine, I hardly use other balms throughout the day following – it’s that good. And anytime my lips just freak out and start peeling, get sunburned, over sensitized, or any kind of issue really, this gets swiped on for instant healing, and it just works. Later I am going to have to launch a chemical investigation into exactly why this works like it does – stay tuned. 2. 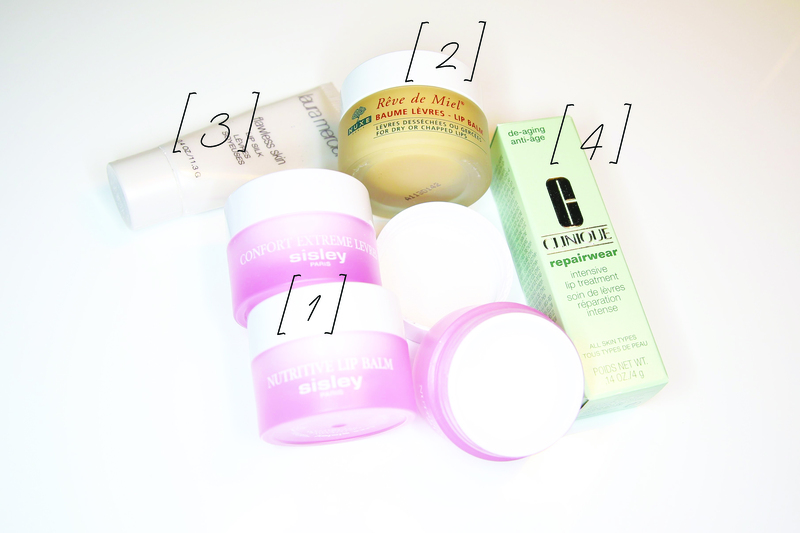 Nuxe Reve De Miel Baume Levres : By now you get it, levres = lips, not so hard, right? This balm distinguishes itself by its naturally light and delicious taste (miel=honey) and its beautifully matte finish which is a perfect base for days or nights when rich lipstick in order. In all its perfection, there is still a slight amount of slide to the Sisley formula, and especially if you want a matte or semi-matte lip, while you must (!) have lip balm underneath or else the lipstick will go dry and cakey – that extra bit of slide, while still remarkably less than average pot of balm, will definitely shorten the wear of your lipstick and thin it out, affecting the richness of the color. Reve De Miel however, will not. It is much tackier in texture so it’s a little (very little) bit more work to work it into the lips, but once it’s on, you will have perfectly primed and prepped lips for any color to adhere to, and stay hydrated at the same time. If you like lipstick, this should be in your bag. At $19, it’s a straight bargain compared to the Sisley brand, and it will last longer than any other balm so you can be generous with it! 3. Laura Mercier Lip Silk : One thing you will not find among my plethora of tubes, jars, palettes, sprays, creams and the like is a lip exfoliator. I know they probably do the job, but I just think they are messy and way too harsh for my delicate lip skin! Ouch, is all I have to say. A heavy slick of balm and a warm washcloth does the job just the same, if not better. So I see no need. That said, one superstar product that I have depended on pre-red lip (notorious for revealing every little flakey spot on my lips) for something around ten years – is Lip Silk. 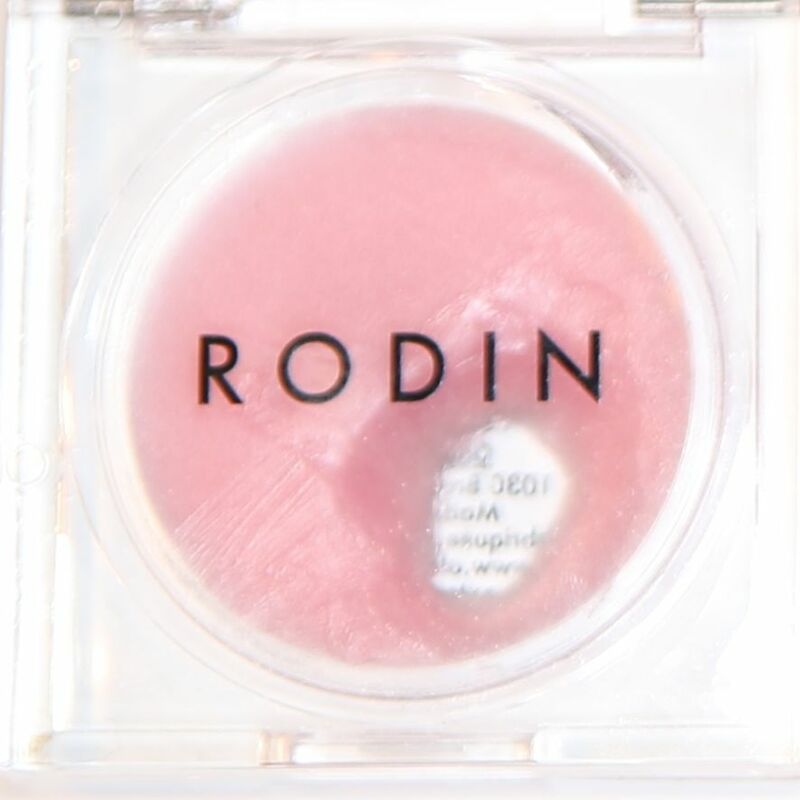 It it super thick, and uses a chemical exfoliant that is oh-so-gentle and faithfully preps lips for any color rich look. Just give it about 15 min, then remove. Presto change-o, new mouth. It does have a bit of a very faint chemical smell so I keep its use to a minimum. I’m not sure if it’s bad for you – but I prefer a more natural product for the lips for everyday use. Lip Silk = big guns. 4. Clinique Repairwear Intensive Lip Treatment : Because there’s airports, buses, subways, taxis, grocery stores, soccer fields, post offices, and every other germ-ridden place when the last thing you want to do is stick your ‘well-socialized’ finger (gag!) in your precious pot of $74 lip balm then smear it on your (holy cow, I can’t hardly believe how many times I must have done this in 7th grade with my Body Shop Kiwi Lip Balm…cringe) mouth! Enough said, sometimes you just need a lip bullet! Hygiene, hygiene, hygiene. This one blows away every other lip balm in tube form you may encounter. Tried just about all of them. Get this. 5. 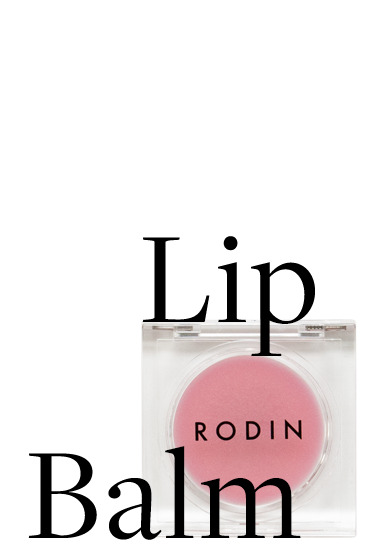 One final brave and versatile soldier: Rodin Olio Lusso Lip Balm. I have to add it to the list because it feels, smells, and makes your lips all around beautiful. And it’s only $34, which I know, is still quite a lot for a lip balm. If you can’t stomach the Sisley price (and I understand), pick up Rodin & you will not be disappointed. It’s faithful and consistent in performance with the most imperceptible amount of sheer gleam, I can’t say sparkle, or you’ll thin glitter. It’s just a really pretty light reflecting touch which pull a lot of weight in the lip department. A stunner, and I love it. Later to be discussed: Rodin Olio Lusso Facial Oil. Can’t wait. This is so needed for this time of the year! I have been using the BeeGood brand and its amazing! I have tried Bee Good too – it’s nice. It’s great as a mask on cheeks! Next Next post: Meet Montana.